Detailed guide for the Chariot Arcana. Will update this as we go along. Will also translate the Japanese as soon as the English comes out. The Chariot confidant has Ryuji Sakamoto as its representative in Persona 5. He can be a bit of a delinquent but becomes the protagonist's friend. This is a Persona 5 confidant guide for the Chariot Arcana. Commonly known as the troublemaker in school, Ryuji Sakamoto is often isolated from the other students. He is known for his disruptive behaviour which gives him a bad reputation with the teachers. However, prior to that, Ryuji was a star athlete. This came to an end, however, when Kamoshida dashed his dreams. The teacher overtrained him, resulting in Ryuji sustaining a heavy injury. Despite his delinquent behaviour, Ryuji is upbeat and easy going. He is similar to Junpei Iori from Persona 3 and also Yosuke Hanamura from Persona 4. However, his dress code is similar to that of Kanji Tatsumi from Persona 4. When you spot the old castle, Ryuji will ask you to go with him. Upon entering the old castle, not only will the protagonist awaken to his persona but Ryuji will as well. When Ryuji does so, the social link immediately starts. 2 Baton Pass When “One More” is triggered, Ryuji can receive the baton to attack.He can pass the Baton also to other characters who have Baton Pass. In doing so, the receiving character’s attack power increases. 3 Final Blow If the protagonist didn’t down the enemy, Ryuji can follow up and kill the enemy. 4 Delinquent Talk When the protagonist doesn’t persuade the shadow, Ryuji increases the chance of the protagonist having another shot. 6 Paper Fan Recovery Clears allies of any conditions occasionally. 7 Instant-Kill Ryuji increases the chance of you killing the enemy instantly. However, this only works on enemies weaker than you. You don’t get any items or EXP from the dead enemy. 8 Moxie If an attack is a sure kill, there’s a chance of Ryuji enduring the blow. He’ll have 1 HP left. 9 Covering When the protagonist is targeted by an otherwise fatal blow, Ryuji can step in and take the blow for you. 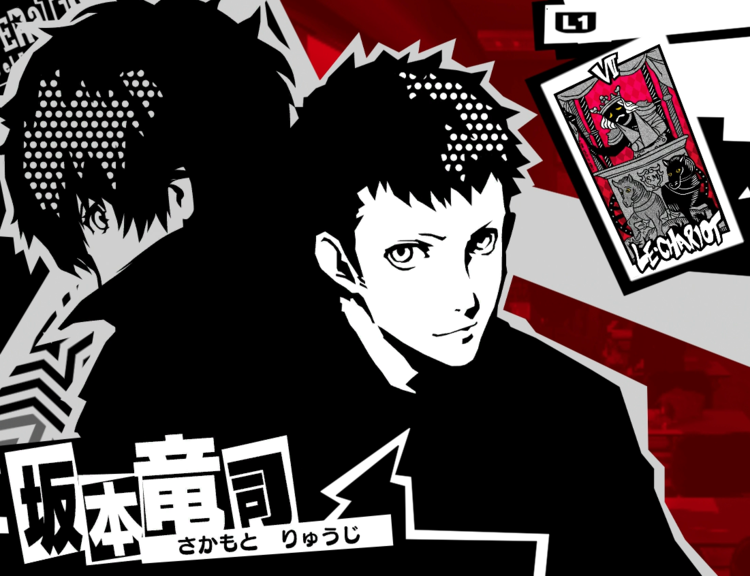 10 Super Awakening After maxing out the arcana, Ryuji’s persona will evolve from Captain Kidd to Seiten Taisei. 1 — On 4/12, after checking out the situation in the old castle you automatically start this cooperation. 2nd Choice: What about them? 2nd Choice: But you’re doing great! (+3)/ I know how you feel (+3) Map of Ogikubo is obtained. When Ryuji tries to find Yamauchi, the door is locked. At 6/29, you can now unlock the door. In order to start this, you have to agree to meet with Ryuuji at Tsukishima via the phone text. 10 1st Choice: I’m looking forward to it +3 / We can’t lose either +3 After awakening his persona, Captain Kidd will transform into Seiten Taisei.